This four bedroom, four-bathroom custom home was designed by Christopher Architecture and Interiors with a simple and efficient floor plan. 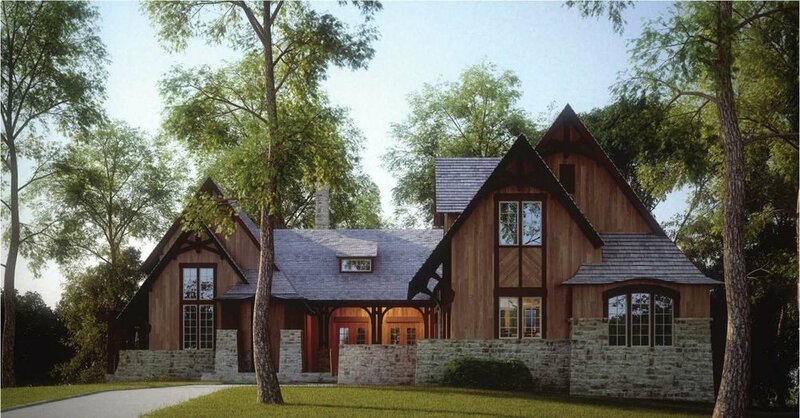 An elegant, covered porch turns the corner to serve the Dining, Kitchen, and Master Bedroom. The Great Room also opens to a dedicated porch. Both elements serve as connections to the impressive scenography of The Highlands. The second floor contains three bedrooms and a large playroom or rec room. Each space maintains a unique view of the surrounding landscape.